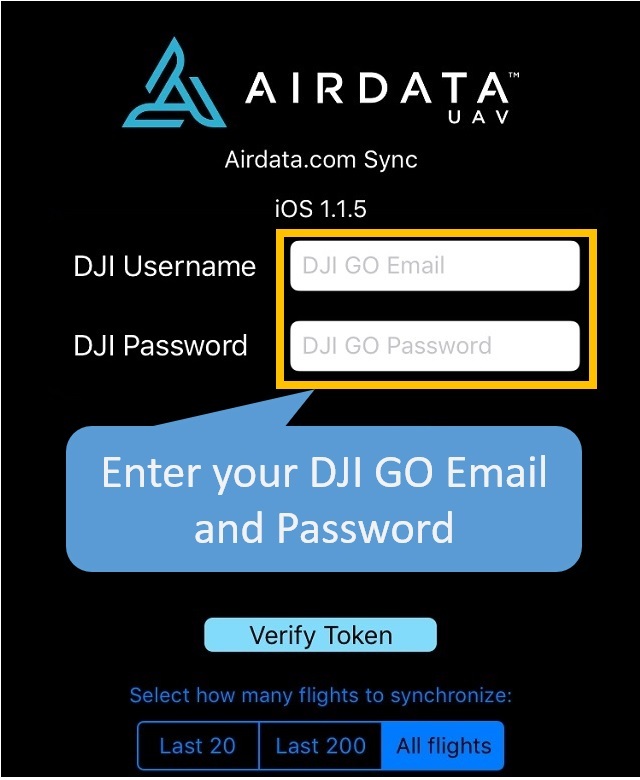 HD Sync simplifies the process of uploading DJI GO log files from your iOS phone/tablet to Airdata.com. 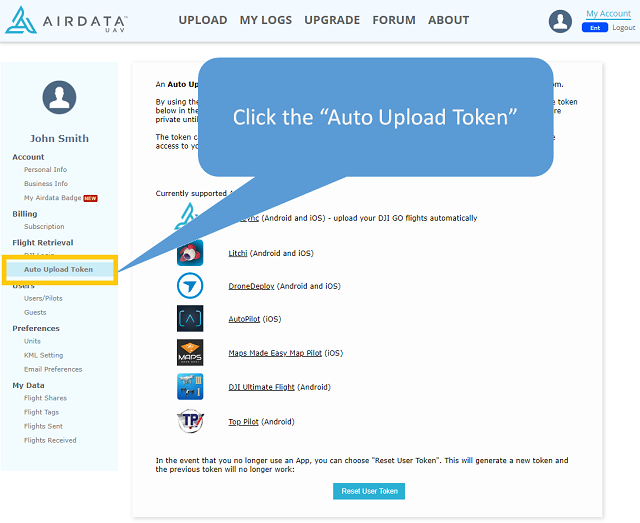 Instead of having to connect your device to a desktop computer and transfer the files manually, it will upload the files directly to Airdata.com for you. To enjoy this new app, please follow the instructions below. UPDATE! 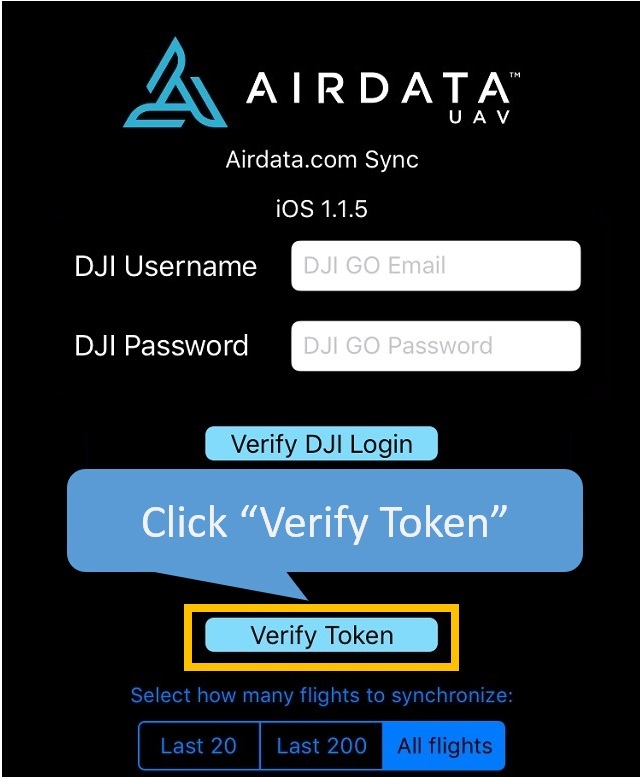 For iOS users who don't want to install another app on their phone/tablet, another option is to configure DJI Direct Sync on Airdata. 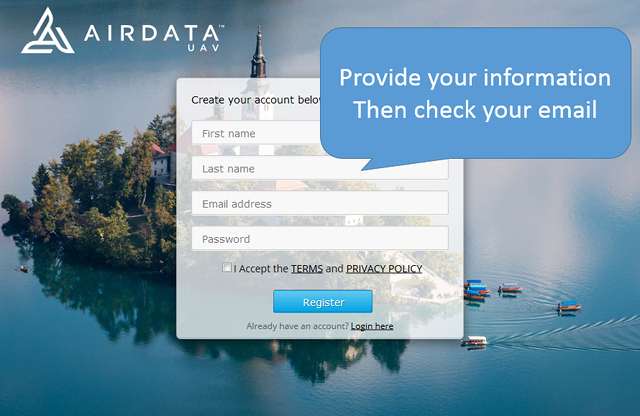 On your Tablet, open the HD Sync App, and enter the email and password for your DJI account. 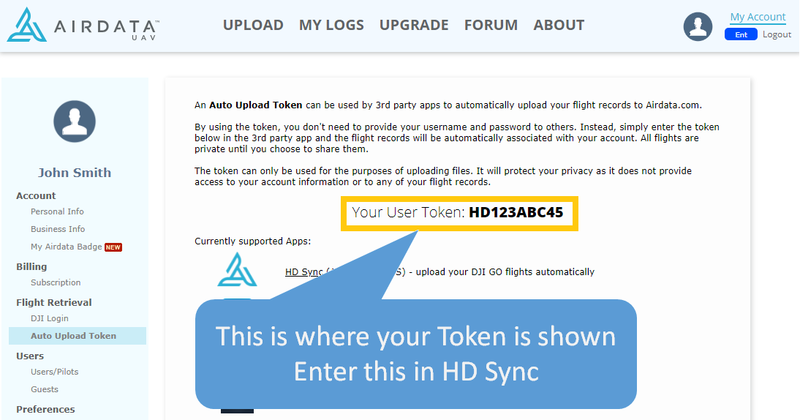 The reason HD Sync needs the DJI credentials is to download your flights from DJI to your device. 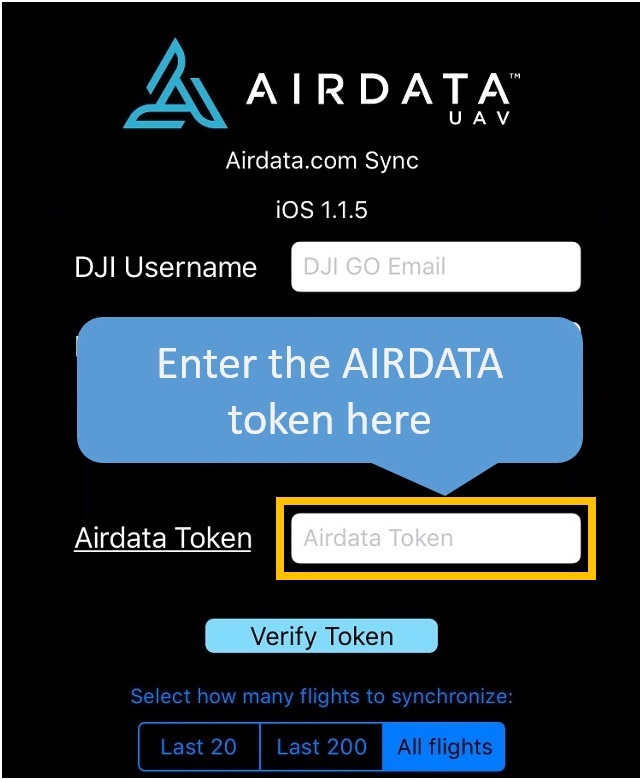 Once downloaded, it will upload these flights to Airdata UAV using the Airdata UAV Token. 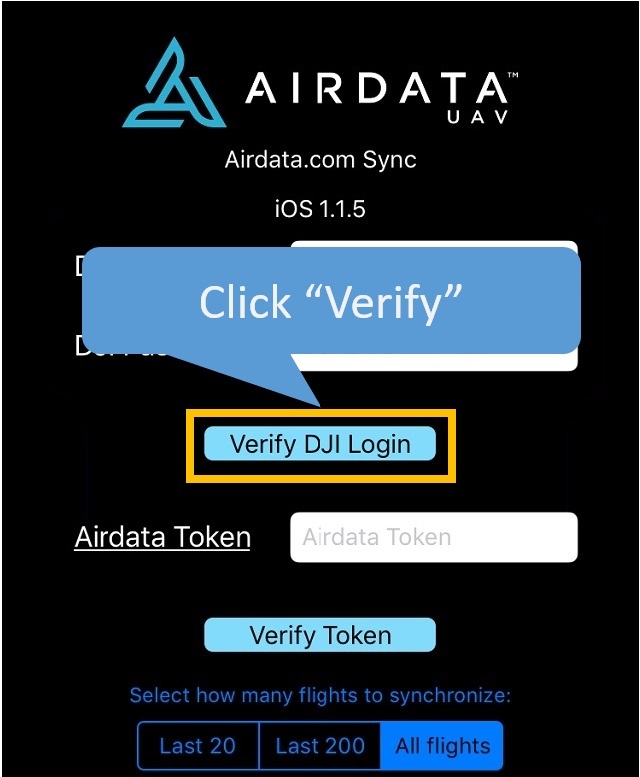 Your DJI credentials are never sent to Airdata and are only used by your phone/tablet (this approach was verified with and approved by DJI). 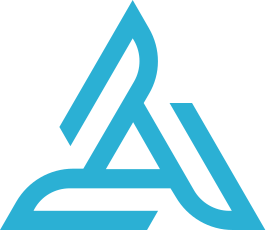 Continue to the next chapter: "Before Syncing"